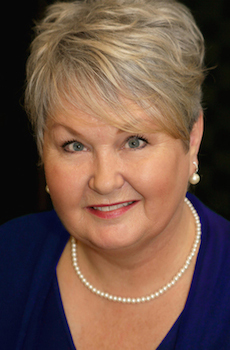 The National Association of Teachers of Singing is pleased to announce that Cynthia Vaughn has been named Associate Editor of Inter Nos, the association’s semiannual e-publication. Vaughn will edit the publication’s “Independent Voices” section, which focuses on the work of independent teachers. “Cynthia is a leading voice among independent studio professionals in the US," says Allen Henderson, NATS Executive Director. "Her experience building two highly successful multi-teacher independent studio businesses will bring to readers a unique voice, and we're glad that she will continue the good work begun by Nancy Bos who is moving on to other endeavors." Vaughn has maintained independent voice studios for more than 30 years. With every move across the country, she opened a studio in her new town in California, Illinois, New York, Ohio, Colorado and Washington. In 2008, after nearly a decade of university teaching, Cynthia founded Magnolia Music Studio-Old Town in Fort Collins, Colorado. She taught voice and contracted other vocal and instrumental teachers to build a collaborative community space to teach music to all ages, all levels, and all styles. In 2014, she relocated to Richland, Washington for her husband’s job, and opened Magnolia Music Studio-RiverWalk. She teaches 25 students weekly in Washington, and maintains both studios with the help of Colorado Co-Director, NATS member Aimee Woods. “In many ways, I’ve come full circle in my voice teaching. I started out teaching teenagers and church choir singers in my living room, recording each lesson on a cassette tape. After years of teaching university students, professional singers and music educators, I still find delight in a beginning adult student singing a very first solo or a teenager discovering her head voice! I now have a dedicated studio (not shared with the TV, couch and cats), and I’ve got more technical gadgets than I probably need, but it really comes down to the people. Helping someone ‘find their voice’ is the most rewarding thing I can imagine,” says Vaughn. This July, Vaughn will partner with Sharon Syzmanski at the 54th NATS National Convention in Chicago for the breakout session titled “Expanding Your Independent Studio: The Challenges and Rewards of a Multi-Teacher Studio.” The session will take place Monday, July 11, at 4:00 p.m. – click here for details. For the most recent edition of Inter Nos, click here.